Over the week of Christmas, the boyfriend and I made our way down to Atlanta… via a long, treacherous road trip through sheets of rain. Though the drive down (and back) was stressful even as a passenger, it was well worth it! Along the way, we based our stops on… food. Naturally. Because we wanted to make good time, one stop we did along the way was the must if you’re going through the Southern states: WAFFLE HOUSE. 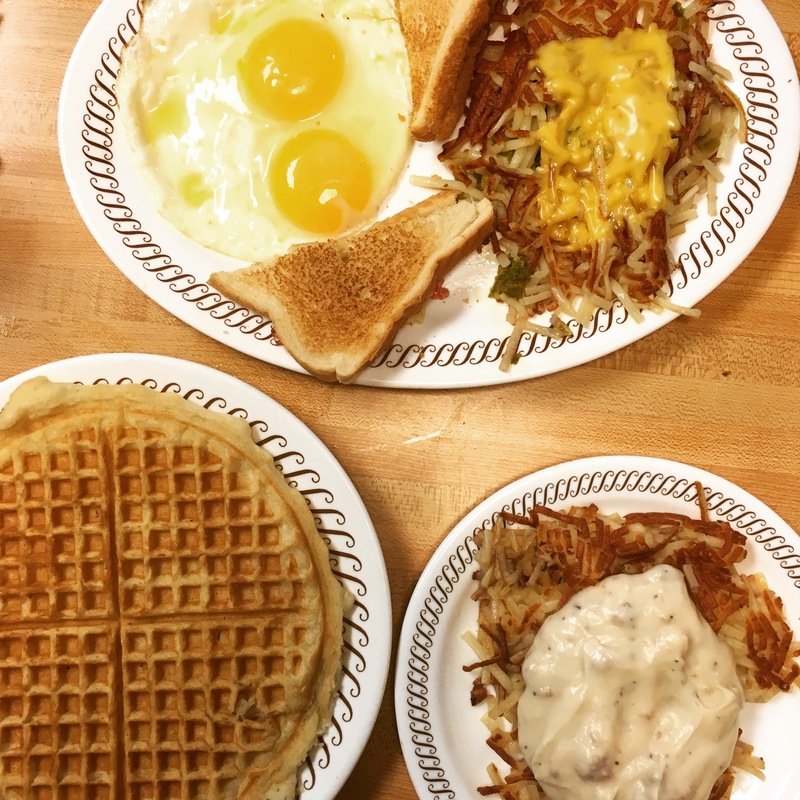 I had only been to Waffle House once before, in Louisville years ago, and I loved it then. We made a stop at one of the many locations near Louisville again, and ate to our hearts’ delight. Yes, it’s still amazing. It’s very much a dive kind of diner, but I love it. The waffle is thin, and perfect for soaking up the butter and syrup. The hashbrowns – definitely add some toppings. The country gravy on mine made it pretty awesome. After getting to Atlanta, it was family time filled with laughs, great food, and lots of memories made. 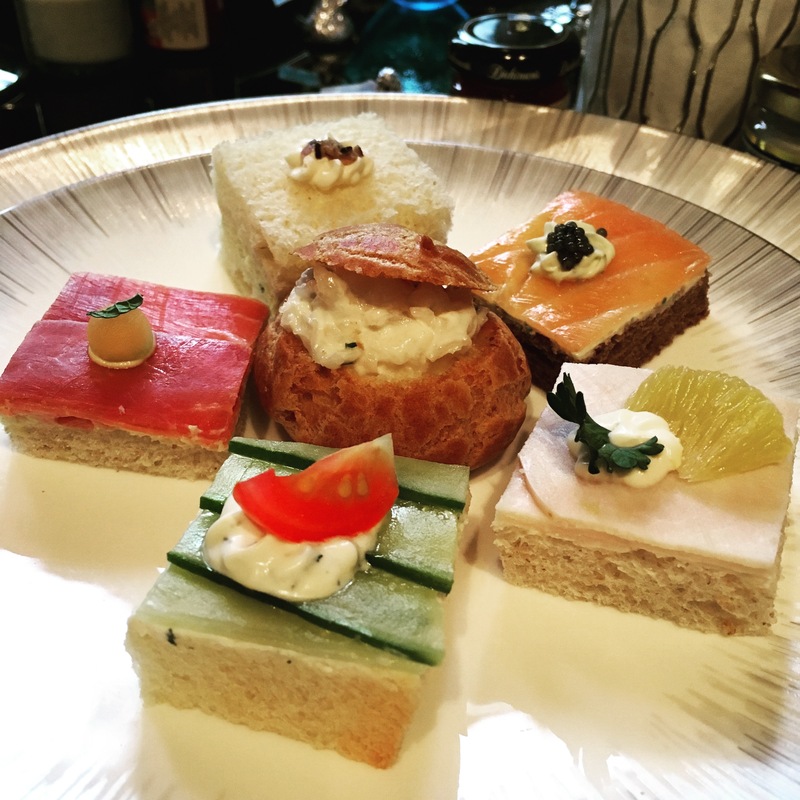 Some highlights of the food..
My favorite of the tea sandwiches was actually the one in the center – creamy shrimp salad in a brioche puff. YUM. I could have had many of those little puffs. 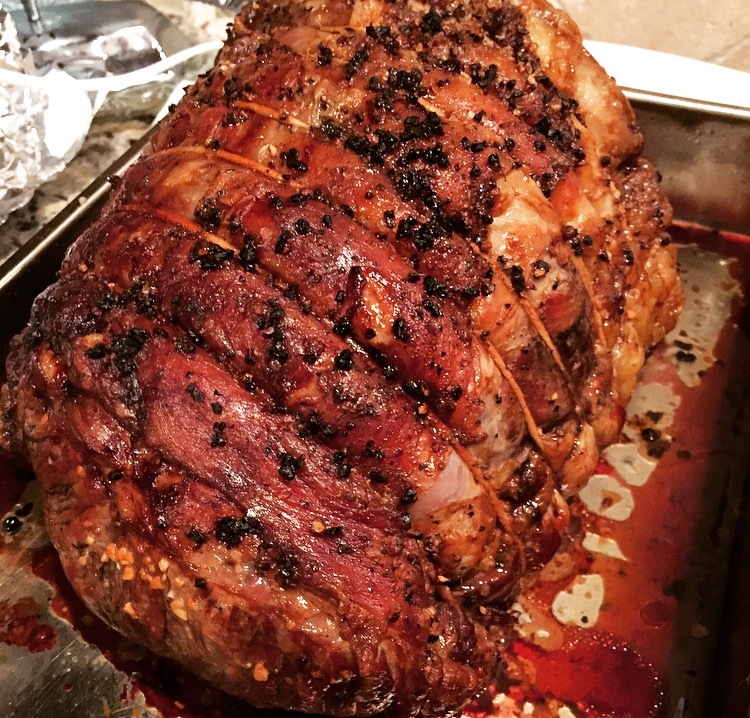 For a 10lb Prime Rib, season generously with salt, pepper, and minced garlic; then roast at 500F for 25mins. After 25mins, lower the temperature to 325F and continue to roast for another 2.5hours. 45mins before it should be done, check the temperature of the rib roast with a meat thermometer. For a perfect medium-rare, the internal temperature should be 120-130F. With it being his first time making this, with the pressure of it also being the star of the meal, it was seriously impressive how perfect it turned out! I mean… look at it. So! The next time you want to impress your dinner guests, try this recipe. 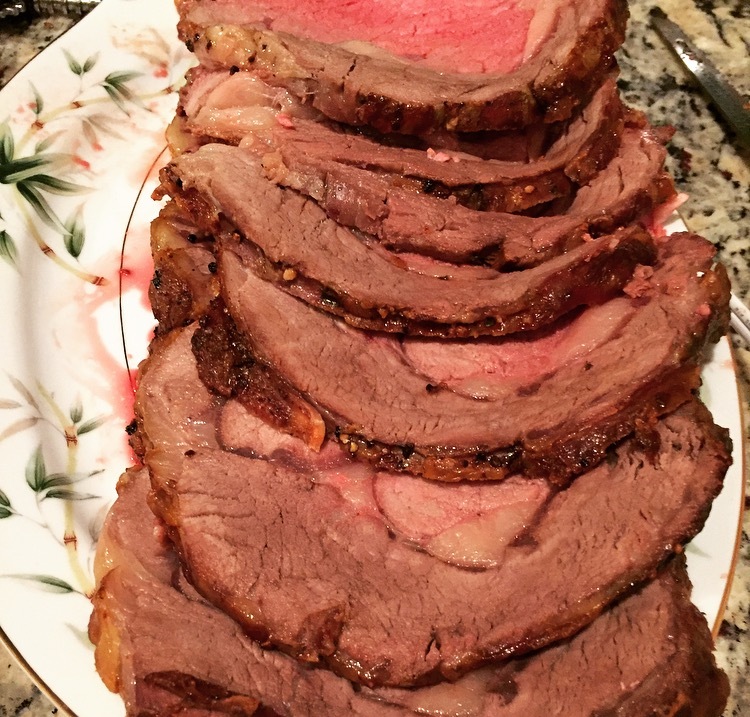 I have yet to make a Prime Rib myself, but I’m totally going to follow his recipe when I do. HUGE THANK YOU to the boyfriend’s sister, her hubby, and their awesome kids for hosting everyone for a few days. It was a great time! P.S. Thankful that the boyfriend is a good driver.